Sunday night dinner after playing hard all weekend can be therapeutic. 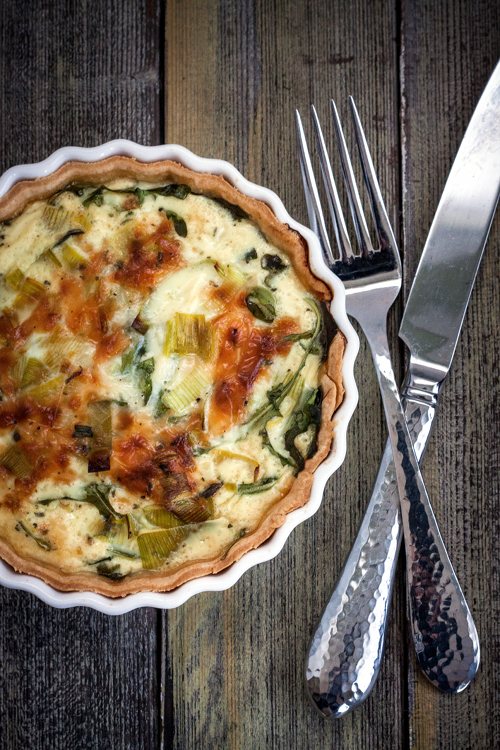 Sunday night dinner with (meatless) leek and arugula quiche can be therapeutic and satisfying. Flaky pie crust filled with light, creamy, and savory filling never cease to amaze me. Preheat the oven to 350 F. Roll out pie crust on a floured surface and line 9-inch pie pan with the crust. Using a sharp knife, trim the excess crust from the edges of the pan. Brush the bottom and sides with egg white. Melt the butter in a skillet. Add leeks and cook until wilted and cooked through. Remove skillet from the heat and cool completely. Transfer leeks into the pie pan and spread evenly on the bottom of the pan. 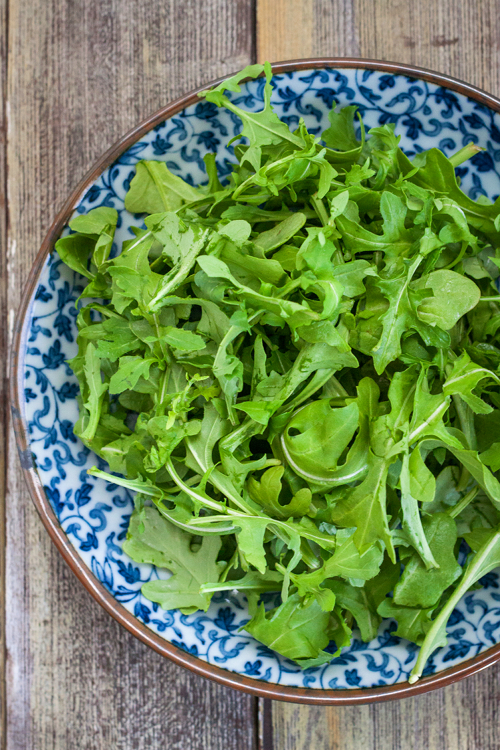 Cover leeks with arugula, and set aside. In a large mixing bowl, beat eggs and cream until creamy. Add nutmeg, oregano, basil, and grated cheddar, mix thoroughly. Season with salt and pepper. Pour egg mixture into the pie pan. Sprinkle feta cheese on top. Bake quiche in the oven for about 45 minutes or until brown on top and cooked through. The quiche will still be jiggly when you take it out of the oven. Cool down for about 30 minutes before cutting and serving. 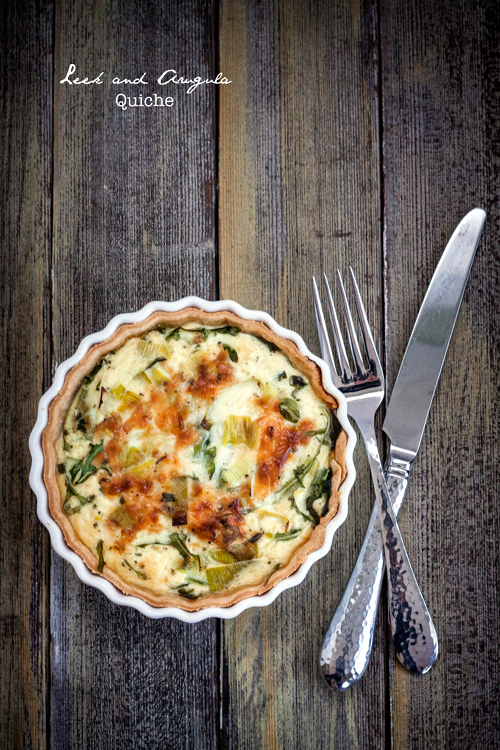 Quiche is definitely one of my Sunday comfort foods and this one is beautiful.